The New Pensions Freedom Legislation – How Will It Affect You? 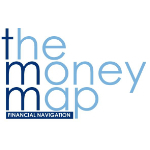 The Money Map wish to congratulate The Wednesday Cricket Club on their 2nd successive promotion within the ‘Mansfield & District Sunday league’ this September. This time by winning the title on the final Sunday of the league. They will now compete in the Section 5 league in the 2015 season. What is the most cost effective life protection for my family? Should Men Need to Act Now on Flexible Annuities?